Maimi brings in the rainy season and receives gifts and letters from the fans in her June 6th update “Entering rainy season ( ´Д` )“. Full translation below. 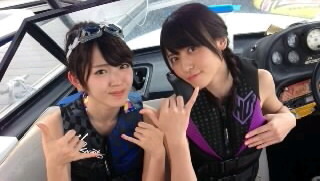 Posted on June 8, 2014, in Blog, Translations and tagged Yajima Maimi. Bookmark the permalink. Leave a comment.